This is rather a different post to my usual beauty, fashion etc – but important all the same. I’m lay in bed this Sunday evening with a cup of tea, watching Doctor Foster on my iPad (you need to watch this if you haven’t already, the next series is out soon!) after what’s already been a lovely weekend. Friday night was date night – dinner and shopping with my boyfriend where he treated me ‘just because’. Saturday I went to the gym and spent the evening with my lovely boyfriend again, and our friends and stayed up (kind of, we actually all napped with duvets in the living room) to watch the McGregor-Mayweather fight and finally, today I spent the early afternoon beautifying my makeup clients and the rest of the day spent with my amazing family, cooking up a huge chilli whilst my sweet nieces and nephew ran around causing chaos. And as I’m lay here in bed now, it’s struck me how lucky I am, how HAPPY I am, and how such an ‘ordinary’ weekend is just so perfect and so ‘me’. Not only this but i’m also thinking about how I’ve ‘chosen’ happy. I make a conscious effort to seek happiness and I want everyone reading this to do the same. Every day, do something or choose something that’s going to benefit your life either in the present or the future. We all have setbacks – I’ve experienced this recently with various work-related setbacks. I take a few minutes – maybe a few tears – and then I get back up and carry on. My lovely boyfriend, Ed told me I will look back on these times and be glad they turned out the way they did because something better will come along for me. And he is so right! I’m a firm believer of ‘everything happens for a reason’ and I’m absolutely convinced that something good ALWAYS comes out of any bad situation. If you’re having a bad time, or even just a bad day – remember it’s only temporary. A long time ago I read the words ‘if it won’t matter in 5 years time, it doesn’t matter today’ and I don’t even remember where I even read this but it always stuck with me and it’s something I’ve always passed on when others are feeling down. Everyone deserves to be happy, so CHOOSE happy. Make small changes to your every day life and the rest will follow in time. Whilst I’m on the subject, download the app ‘Insight Timer’ – it’s a free meditation app and it’s AMAZING for making you feel calm and collected. There’s all sorts on there to help you let go, relax, gain self confidence, sleep better and more. Twice I’ve fallen asleep listening to the sleep meditation and had a brilliant nights sleep. Enjoy! I’ve recently been sent a couple of bottles of Star Tan from some lovely ladies I met at an event a few months back. I was so intrigued by the unique 3-step process that’s involved, that I had to try it for myself. It was also suggested that my boyfriend try out the men’s version, so with a little persuasion we got that started too! So, after prepping our skin for a few days (removing all previous tan, exfoliating, using the sauna etc) we got to work on the 3-step process. You begin with a spray to moisturise the skin and prime it, ready for the tan. Next, you get your lovely velvet mitt and add a few pumps of the tan in your desired shade and begin to smooth it across the body evenly. Finally, the finishing spray locks in the tan and stops it from coming off onto your clothes and bedsheets. I used ‘Shooting Star’ with a watermelon fragrance. I have to say, the first thing that popped to mind was how pleasant the smell was. I’ve had some seriously strong smelling tans in my time that make you feel like you stink even after its washed off but this tan is not strong smelling at all. Joe had a slightly lighter shade ‘Shining Star’ which comes with a masculine fragrance called Bleu. There’s a real stigma around men’s fake tanning products, however it seems to be totally acceptable for men to use sunbeds or even tanning injections. With the huge issue of cancers and sun damage from the harmful rays, I think it’s important to consider safe tanning options like Star and remove the stigma from men using these products. When we woke up, both of us had a dark luscious tan, as if we’d had a couple of weeks in the sun. I must admit I didn’t do the best job on our hands….. This particular tan is super absorbent so it makes for a long-lasting tan – however that also means you need to be REALLY careful on dry areas like hands and feet because it may look fine with the tanning guide, but once it’s developed you notice more mistakes. 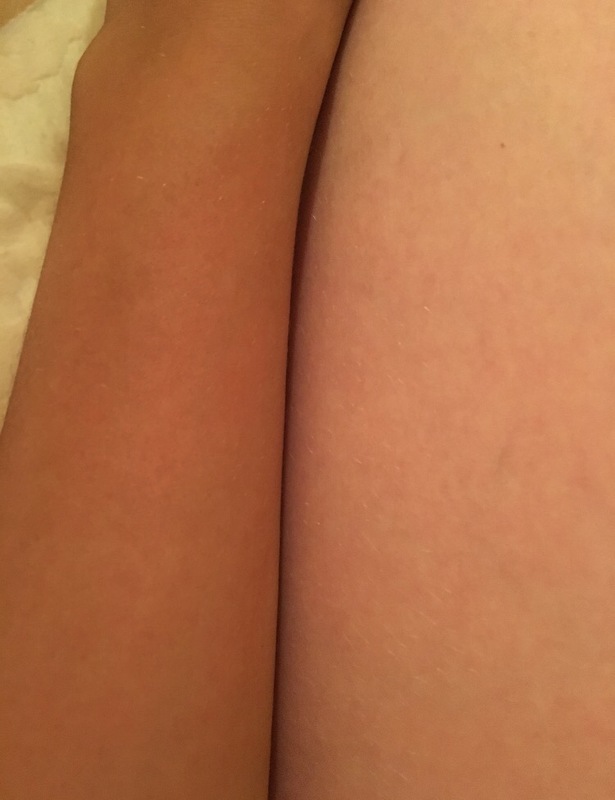 My tanned arm compared to my natural skin tone. I look like I’ve been on holiday! Such a lovely natural shade, especially as it’s so dark. After a week or so, my tan had mainly faded off, pretty much evenly except a few little patches that were easily removed in the bath. Joes tan faded off completely evenly without the need to scrub at any little patches. Definitely ideal for men who can’t be bothered with all of the aftercare! To summarise, I would definitely recommended Star Tanning to both men and women! Not only can you purchase the bottles of mousse for home use, you can also have one of their amazing spray tans or even become a Star Tanning technician yourself! Visit their Star Tanning Website for more information! Happy tanning! My hair has suffered so much over the years from over-processing on photoshoots, damage from scuba diving, years of bleaching…. I’ve recently had my roots slightly darker, fading down into the blonde really really subtly so that I can grow my roots down and avoid the damage of bleaching! Now my mission is to treat my hair the best I can to make it grow luscious and thick again. This includes avoiding brushing as much as possible and washing only every 2-3 days so my hair can rest and create natural oils! 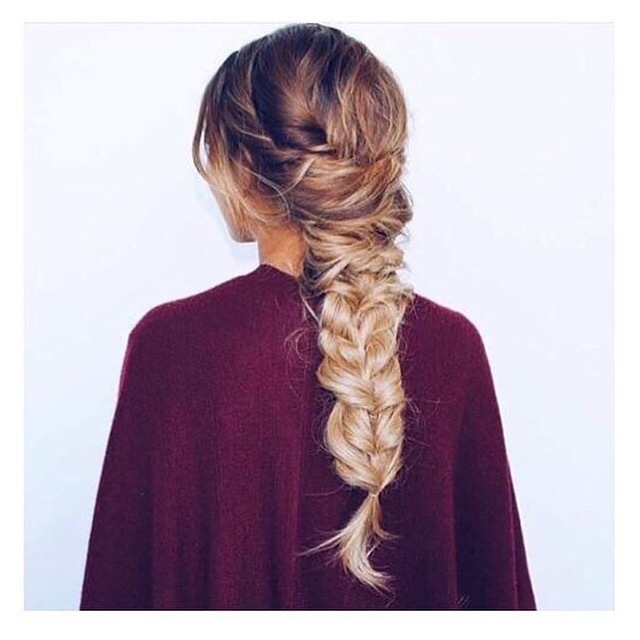 I found this picture which is my ultimate hair goals at the moment! A while ago, my mum bought back some shampoo and conditioner that had been recommended to her. 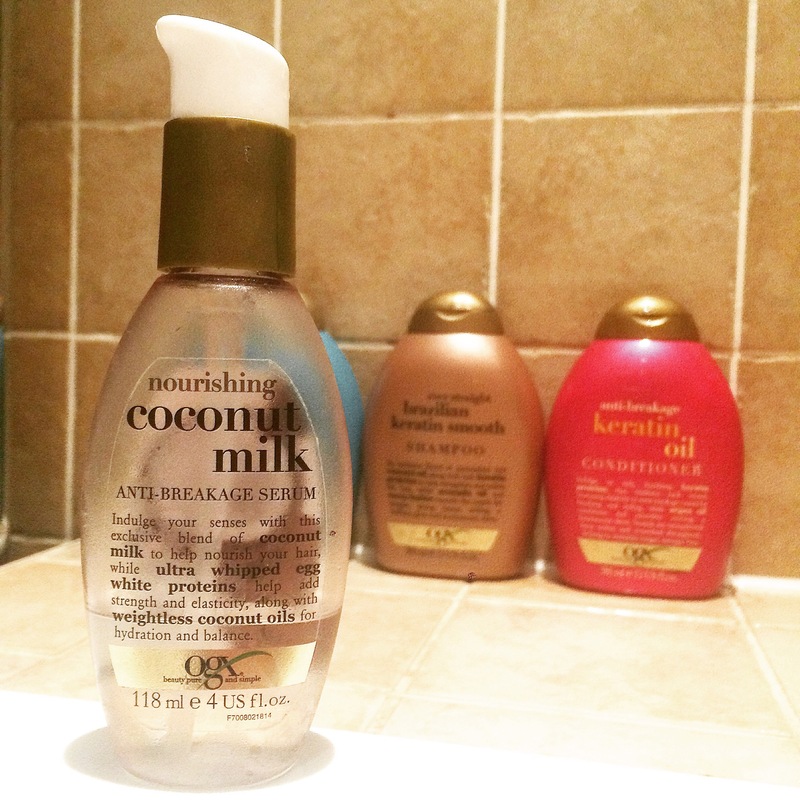 After looking at it, I realised it was the same brand as the coconut milk oil I had been using for years! I just remember being out shopping once and my hair felt dry so I randomly bought some pretty cheap oil (partly because I love coconut!) to stick on whilst I was out. And I actually fell in love. I do swear by it now and use it after every wash and between washes on dry hair if I need it, despite that not being on the instructions. OGX coconut milk anti-breakage serum contains coconut milk (obvs) and we all know that coconut is hailed as a massive beauty saviour. Also, egg white proteins – if they’re good enough for my diet, they’re good enough for my hair. 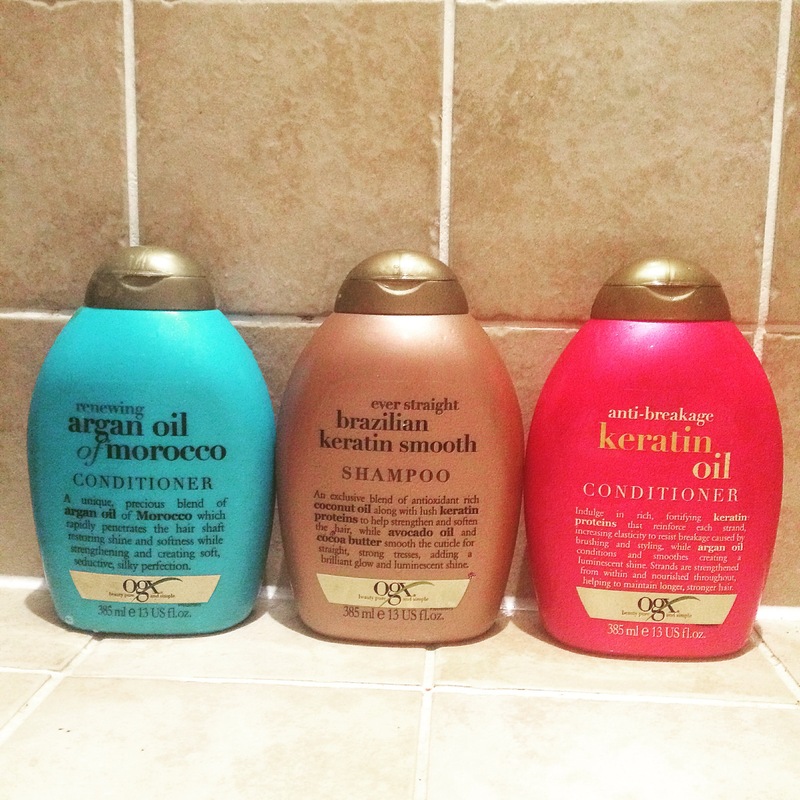 Ive now tried three of the different shampoos/conditioners they have on offer and my FAV are the anti-breakage Keratin Oil ones. The keratin proteins and Argan oil leave my hair feeling luscious – not to mention the amazzzzze smell. I do like the Argan Oil and Brazilian Keratin Smooth versions also but the pink is my ultimate. There’s a whole massive range and you can find them in your local supermarkets, Boots or Superdrug and I’m sure many other retailers. All products are around £6-£7. Honest Forever Aloe Vera review from a non-distributor. I’ve been lucky enough to have been sent a Sonya Skin Care Collection plus a Forever Aloe Scrub for me to trial and give an honest, genuine review. I have not been paid for this review and all of the views inside are truthful and formed from my own opinions. The kit contains the Deep-Cleansing Exfoliator, Purifying Cleanser, Balancing Creme, Refreshing Toner and Nourishing Serum. The booklet within claims that the formulation of aloe Vera, fruit extracts, white tea and moisturisers will help to rejuvenate and moisturise the skin ‘like never before’. I’m going to put these claims to the test! I’ll be the first to admit I’ve long been skeptical about distributor companies such as Forever as my first thought is always ‘you would say it’s good – you’re selling it!’ But I genuinely have heard some great things about Forever, which made me instantly agree to try the range out. Plus I have an obsession with all things skincare, so that helped! My first impression based on packaging is very positive. The collection is very well presented in a fold over box with delicate purples and a chic, simple design. I’ve decided the best way to really see how good the individual products are is to try each product separately as well as altogether. This is the first product I’ve tried from the Sonya Skincare Collection. I’m heading off to Egypt tomorrow, and always love to give my face and body a really good scrub before I go abroad to help with the tanning process. This product can be used on your face AND body which is great because it saves on cost (and luggage space!). I squeezed a walnut size amount of the scrub onto my hand thinking it would just be enough for my legs, but it easily was enough for my whole body which was a pleasant surprise! It’s nice and rough which I like in a scrub and doesn’t leave behind a residue like a lot of scrubs do! So far, so good! This product will definitely be coming abroad with me to assist with clearing my skin of salt from diving, sun cream etc. This was the other product that joined me on my trip to Egypt. The Balancing Creme has such a fresh citrus scent that it instantly feels fresh from the moment you take the lid off. It had a very smooth and light texture, almost more like a thick serum than my usual creamy moisturisers. When abroad, it’s important not to overload your skin since you already ply it with suncream and get clogged up with sweat, chlorine etc. This moisuriser worked perfectly for just a light, fresh feeling moisturiser that didn’t feel overly heavy. I do tend to get quite dry skin in the autumn winter months so I won’t be carrying this particular product over into my winter routine as it’s just not heavy enough. However I would definitely use it over the summer months and recommend to those who don’t need a luxurious moisturiser in the winter. My skin was so bad upon returning home from Egypt, that I decided to throw in all of the products, in an attempt to clear up my breakout. The Cleanser is creamy and again has that fresh citrus scent which instantly leaves you feeling clean and refreshed. It claims to help remove makeup and impurities from the skin which I do agree it does. It’s slightly annoying you have to rinse it off with water after using it, because id rather go straight into the next steps (having washed my face before the cleanser) but all in all, a good product. The Toner doesn’t leave your skin feeling tight and dry like most others I’ve tried. If I’m totally honest, I generally don’t use toners even though I know I should. I’ll definitely continue with this one as I feel confident it won’t dry my skin out this A/W season. To me, the Serum feels very similar to the moisturiser, but of course it performs a different function (targeting the lower layers of skin). It again is consistent with the fresh smell and feel as the other Sonya products which I love. However, similar to the moisturiser, I’m not entirely sure it would be luxurious and thick enough in winter for my own skin type. It is a lovely product that I’d recommend if you don’t need a whole lot of moisture. I’ve decided to continue the trial for a few more days whilst my skin calms down, so I can get a more clear idea of how good the products are for me. Whilst in egypt, my lovely roomie Hannah gave the aloe scrub a go to remove the impurities left behind from a hot day of diving and suncream etc. She was really happy with the product and said it was up there with some of the bigger brands she has tried. I decided to treat my boyfriend to a little facial (he loves a pamper!) and I used all of the products on him. He liked how his skin felt after and also liked the scent as its not overly feminine like others. You can purchase all of these products as a set which comes in the beautiful box I received. This comes in at around £130 which when you break it down, isn’t a lot considering all of the products that you can inside it. You can order here. Forever also offers a range of supplements that I’ve not personally tried, but do come with amazing reviews. In particular, the C9 Cleanse which has seen people losing pounds and stones! Also, bee pollen supplements and aloe drinking gel. You can check out these products for whatever suits you here. Good morning lovelies! I’m shopping this weekend so I’ve been browsing blogs and online for what treats I should buy. I’m a massive lipstick fan and always more than happy to add to my collection that’s almost exclusively MAC. They’ve always been my favourite – relatively inexpensive, amazing range of colours, good range of textures (matte/glossy etc). I always tend to go for really similar ones. I have so many light pinky shades and a whole load of nudes and only one bold red. On a recent Selfridges trip, I was browsing the current MAC is Beauty collection and fell in love with pretty much the whole lipstick collection. I swatched a few on my hand and noticed they are much more glossy than the regular MAC lipsticks, but still have a really full colour. This is so ideal for me because I can sometimes get quite dry lips from some of my lipsticks but I love a really full coverage of colour. Long story short – I couldn’t choose which I liked best so I didn’t get any! But I will definitely be purchasing this weekend since I’ve narrowed it down to two now! You can see why I want them all! Notice Me perhaps isn’t as wearable for me as the others but it’s still undeniably pretty. I’ve narrowed my choices down to Real Redhead and Highlights because my all time fav MAC lipstick is Freckle Tone and I feel like these mixed would be quite similar to this. Honestly though, the more I look at this, the more I want French Twist and Pure Vanity too…. Did it mention it’s my birthday coming up…..? I stumbled across another thing that excited me recently…. Yep – more lipsticks! 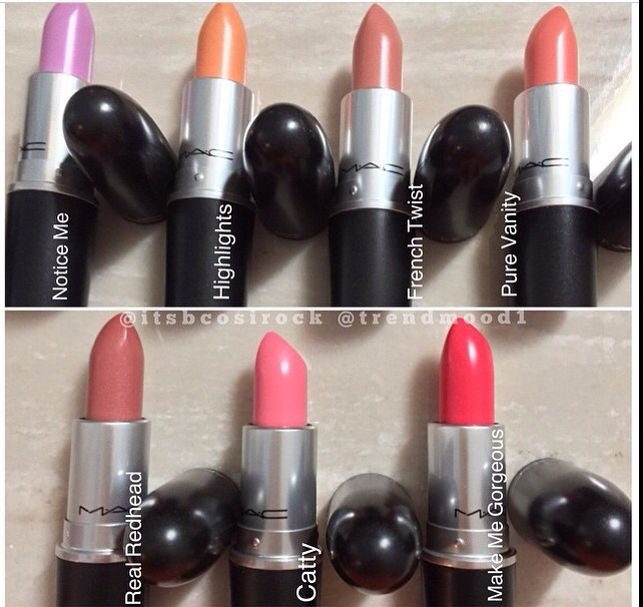 This new MAC collection is rumoured to launch July 9th and I think it’s just genius. I store my lipsticks in a clear Perspex lipstick organiser and since they all look exactly the same, I have the effort of looking at the bottom of each one to find which I want. With these little babies, the outside is exactly the same as the outside so you can just grab the one you want and head out! They are matte which doesn’t sit well on a lot of people’s lips (mine included) but I’m hoping a bit of Vaseline can sort this out because I loveeeee all of them. Let me know your favourite lipsticks and any other brands you can recommend! 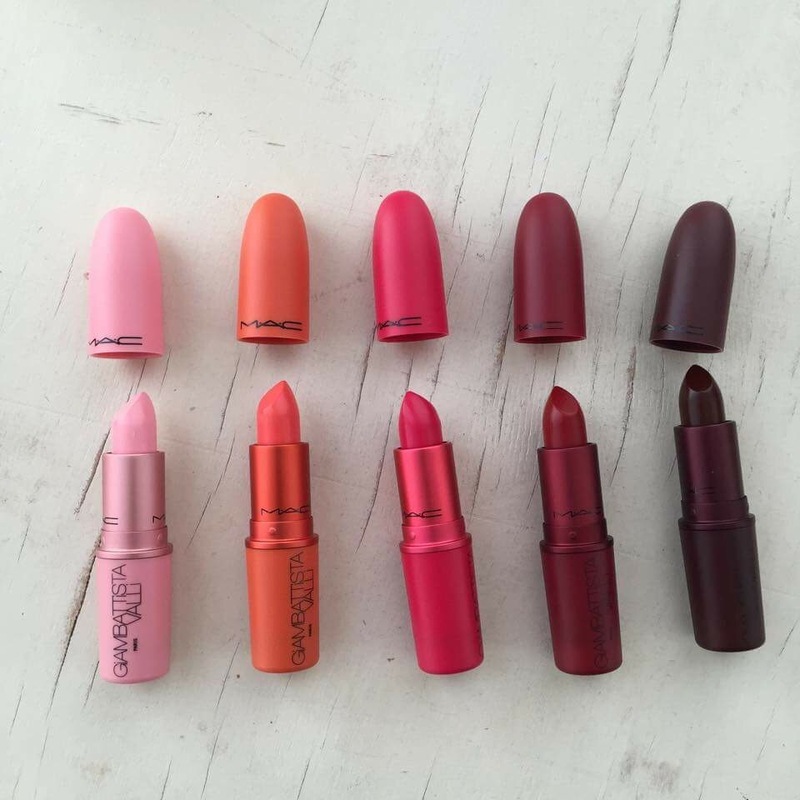 Do you have any of these lipsticks? Here’s my questions and answers! 1. What is the dish that you cook best? I think my boyfriend would say my Paleo Thai Fish Pie… it’s so delicious and completely guilt free. 2. Which one of your posts is your favourite one, why? I’d probably say my post on Miss World as it offered an insight into beauty pageants that most people don’t know, and hopefully showed a different side to pageants than the stereotypical opinions. 3. What is the kindest thing someone has ever done for you? This is such a hard one because I think people do ‘kind’ things each day but each different. From someone holding the door open, to receiving a nice gift. I can’t actually pin point the kindest! 4. Do you prefer going to the shops or shopping on-line, why? 5. Which Disney character would you be and why? Probably Elsa as every time I wear my hair in a side braid people call me Elsa! Plus I’m a Princess. Obvs. 6. How do you come up with new ideas for your blog? 7. If you ever came across a Genie which would be your three wishes? For myself and my loved ones to live happily forever, to stop pain and suffering across the world, to be a Victoria’s Secret Model! 8. What are you the most grateful for? As cheesy as it is, I really am most grateful that I have an amazing network of family and friends that I know many others aren’t lucky enough to be blessed with. 9. What book would you recommend everybody to read? The Fault in Our Stars was an amazing read for me. I read it on my iPad and highlighted some of my favourite quotes as I went through because it was so full of inspirational quotes. I found it much more inspiring than the film and couldn’t put it down! 10. If you could go back in time, what moment would you choose? I think I’d go back to high school where me and my friends (2 naughties in particular!) had the most fun EVER! I would never dare do half of what we got up to in high school but I wouldn’t change a moment of it and would go back in a heart-beat to re live even one day of it. 11. What super power would you want and why? Super Strength or Super Speed…. either way I’d love to shock people with it! Don’t feel obliged if you don’t fancy it!! But should you wish to, here’s your questions! 1) You have 1 million pounds to spend in ONE day… what do you spend it on? 2) If you could transport to any place on Earth right now, where would it be? 3) What’s your favourite thing about yourself and why? 4) What’s the first memory that pops into your head? 6) Where do you see yourself in 10 years time? 7) What one thing are you most looking forward to in the coming year? 8) Do you prefer the country, or the city? 9) What made you start blogging? 10) What is your dream job if you could go into it straight away? 11) How would you describe ‘love’ ? Good luck and I hope to read your answers soon! So many people suffer from the common skin condition eczema – millions nationwide. Eczema is a red, itchy rash that appears on the face and body (often on the joints) and can leave sufferers with unsightly, sore and itchy skin. My family and I have all suffered from eczema ever since I can remember. It may sound like a small issue but when it’s you who has sore, broken skin on your eye lids, forehead, neck, shoulders, arms, legs etc it really is something that affects you on a daily basis. I only tend to get flare ups in the winter and I’ve tried everything possible. The last 2 winters I’ve been delighted to see that the time and money spent trying to fix my skin has finally paid off! I’ve tried changes of diet, creams, pills, steroids etc and finally I’ve found a mixture that works well for me. I don’t know if they will work for everyone but if you’re like me, you’ll try anything! Nudey Tea comes up in so many of my posts but that just highlights my passion for it’s magical powers! I once visited a Chinese doctors and I was told that I was getting eczema in winter due to my weakened immune system. He told me that detoxing would help no-end. I immediately started a detox course and then continued to drink mug after mug of green tea. I absolutely swear by this as a top tip. It’s by no means instant results but if you continue with the green tea through the year you will notice the difference eventually. If you don’t like the taste of green, try twinings fruit flavoured versions. You can purchase a detox course Here to kick-start it. And use code HELEN for 5% off. A good emollient I found was called Double Base. I was given this by my doctor on prescription, it’s a strange consistency, almost a plastic like cream! It’s super thick and jelly like and hydrates the skin for hours. I used it all over to avoid any extra bits popping up. Ask your doctor for it. A steroid cream is an obvious option, by I found that hydrocortisone just didn’t do anything for me. The best steroid ointment I had from the doctors was called Betamethasone. This cleared me up straight away but isn’t a long term option as you can only use for small periods of time. However if you follow the other options then it should hopefully stay away even after finishing the steroid ointment. I was recommended Cod Liver Oil supplement capsules to hydrate the skin. I have no idea if this contributed but they do have other proved health benefits so I do still take them daily. You can pick these up from Holland and Barrat HERE. I use this recommendation loosely as it comes with it’s own health risks and doesn’t work for everyone but sunbeds can help. Since I only suffer in the winter, it does help me to get a little light therapy (it does help that my sister has sunbeds in her salon!). Many articles do confirm this but there’s the obvious health risks also. It’s nice to get a boost of vitamin D in the gloomy winter months! If you do try sunbeds, ensure you cover yourself in emollient after so you don’t dry your skin out. Hot showers can dry your skin out, as can towel drying yourself too hard, bare these in mind. I hope these tips have helped as I wish I had an article like this with tried and tested methods! Let me know how you get on. As you can tell from my other posts, I have a littttttle bit of a thing for Nudey Tea! They make the best and yummiest detox tea’s of all! I have to tell you about their Limited Edition 14 day pack they have at the moment… Because you need to snap it up before they all go! It consists of day time and bed time tea’s that give you a great cleanse for 2 weeks. Wait until you hear the flavours…. 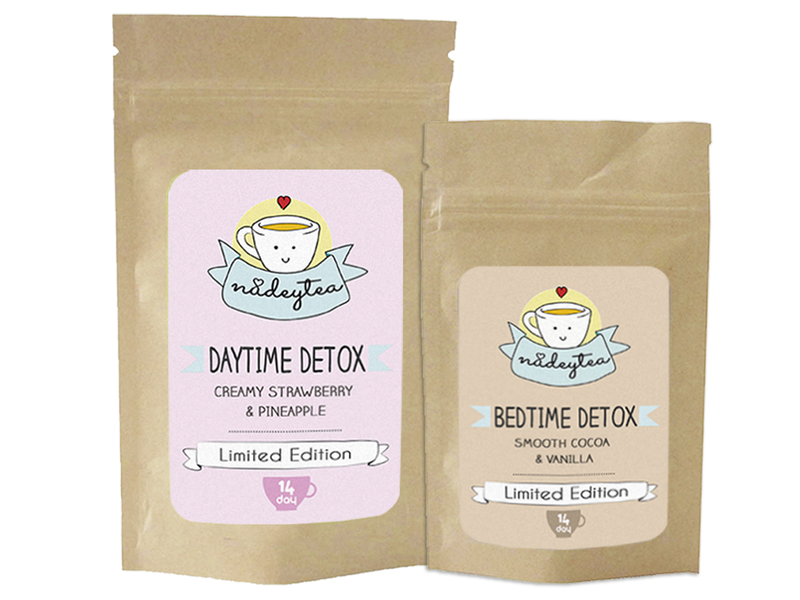 The day time is Creamy Strawberry and Pineapple it contains oolong tea which increases fat oxidation in the body, hibiscus, elderberries and rosehip which are rich in vitamin C, Milk thistle leaves for your liver, rose petals to beautify the skin and many other beneficial ingredients which make this the ideal treat for a detox cleanse. The bedtime tea is Smooth Cocoa and Vanilla with a base of Rooibos tea with cocoa shells, relaxing lavender, rich cocoa and smooth vanilla for an indulgent treat. It also contains tradition liver and blood tonics barberry, burdock and senna which flush the system. This detox pack is a total must-have for all health fanatics, tea lovers, weight watchers, and everyone who loves a little treat! Of course the perfect valentines gift….. And the bonus of receiving a 10% discount! With the uprising trend of Fit Not Thin endorsed by our beloved celebs and some top name supermodels such as Candice Swanepoel, it’s no wonder many of us are trying to get our abs in shape. Instagram is afloat with perfectly sculpted abdominals, not to mention the lean limbs and lifted butts set to inspire us to lead a healthy lifestyle and work out regularly. In this blog post, I will be discussing my top tips for getting your desired Fit Figure, particularly tight abdominals. Teatox –As you saw in my first blog post, I’m a big believer in tea! Particularly the detox varieties. It’s important to me to cleanse and detoxify my digestive system, and I feel that it’s a great addition to a healthy diet and workout regime. 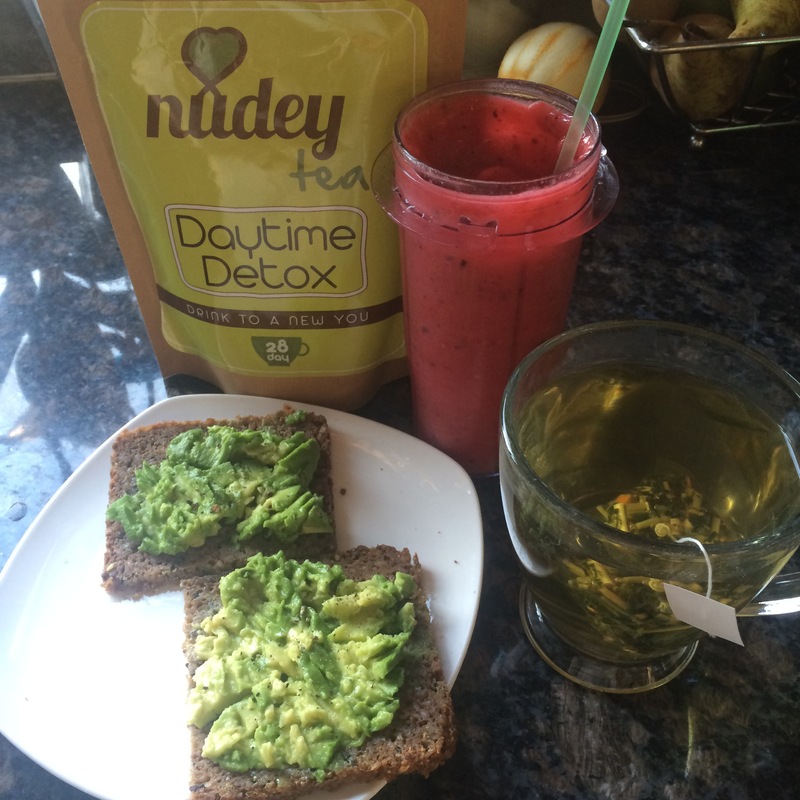 My personal favourite detox tea is the Nudey Tea detox pack (available in 14 or 28 day courses) – you can read more about this in my previous blog post, but basically it’s the yummiest tea ever! 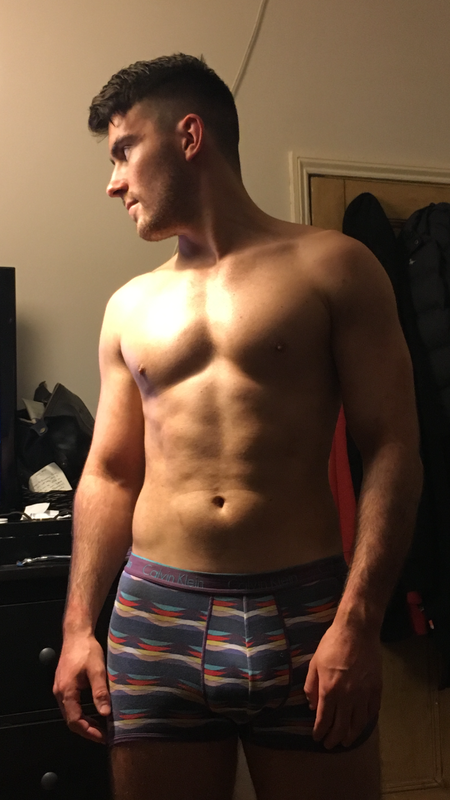 I’m on my second 28 day course right now and I feel amazing. I’ve heard horror stories of other teatox’s….. I won’t go into details but a few friends have been unable to leave the house for a few days! 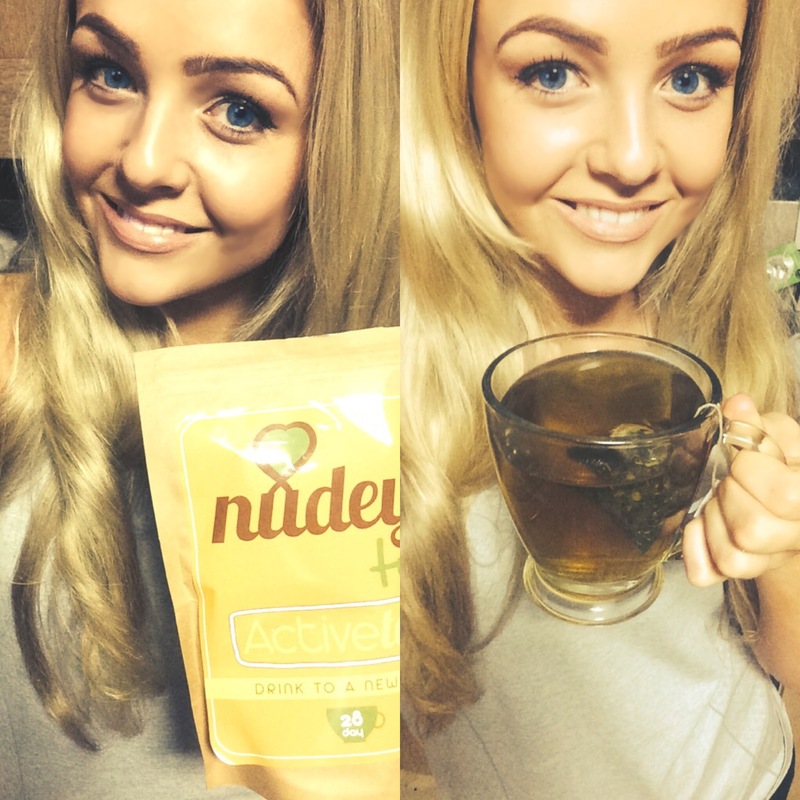 Nudey Tea however has a great ingredient base that aids weight loss, fights bloating and speeds up your metabolism. I can now offer you 5% off your orders with the code HELEN and you can make your orders here! Eat!This may sound surprising…. But so many people (particularly females) are scared of eating often/big portions as they think this will make them ‘fat’. Not the case! 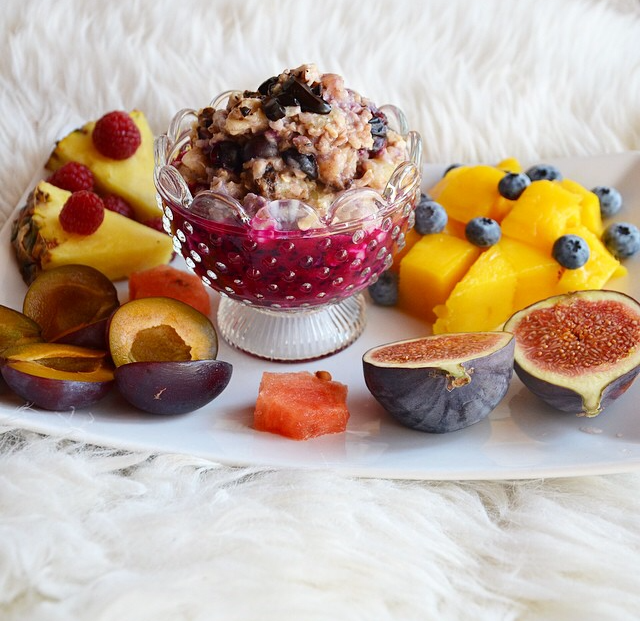 You should be eating 3 meals and 2 snacks per day to give your body the nourishment it needs. This being said, it’s all about WHAT you eat. Cut down on the sugar and alcohol, aim to eat whole grain carbohydrates where possible, get plenty of lean proteins and a lot of fresh fruit and vegetables. If you’re starving your body, it will simply go into starvation mode and store fat. Instead, nourish it and focus on health not just aesthetics. There’s plenty of meal inspiration on google, Instagram and pinterest. Everybody thinks differently about diet rules, I once was even told not to eat fruit? However I think a bit of everything is good and there’s no one set diet to fit all. (plus I love fruit). Cardio –sounds obvious. But some naturally slim girls like myself may think that cardio isn’t necessary, however it’s important to drop excess fat and replace it with muscle in order to get a lean body rather than just ‘thin’. I’m naturally a slim UK size 6, but I still do two 30 minute cardio sessions a week to ensure I stay lean and replace my lost calories with protein shakes. If you’re looking to loose weight to get your Fit Body, obviously cardio is important. Try interval training on the treadmill (running and walking alternatively) to burn fat away. I was once told that only at 30 minutes have you burnt fat. I can’t confirm this but I always feel that 30 minutes is a good amount. A Good Ab Workout Routine –I was shown this amazing YouTube video with a ton of ab exercises you can do from home. At first, I couldn’t even do the whole video! Now, I can do it multiple times with extra reps. Your abs are one of the only muscle types that can be trained daily without the need for rest. The link to the video can be found here. I hope these little tips are useful for you and do drop me a comment if you have any questions or can add any extra tips!